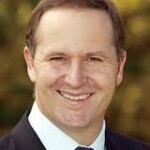 The Green Party’s policy back down on printing money to help the New Zealand economy appears to have happened because of an important media training technique used by Prime Minister John Key. The best way to get a point across is by using it again and again until it registers with people. We tell our media training clients to focus on a few key points in their media interviews so that those views are the ones used in news stories. If they are points someone wants to consistently get across on an on-going basis, they should be repeated in multiple interviews and through multiple channels. This is a media training skill Key has used against the Greens. He has consistently said for months that the Green answer to everything is to print money. This appears to be something very few people agree with and has worked against the Greens. This has led to their back down. It shows that Key’s consistent use of that point has registered with voters. Most people try to communicate numerous points about a given issue. All this means is that no-one remembers any of them. I mentioned this in a recent post about those opposed to Charter Schools. From a media training perspective, the Greens back down has proved my point. If you really want to make a point, focus on that point. Don’t expect people to understand it and be convinced after hearing it once.